1. Wash and press the shirt. Turn wrong side out and sew the bottom opening closed. 2. 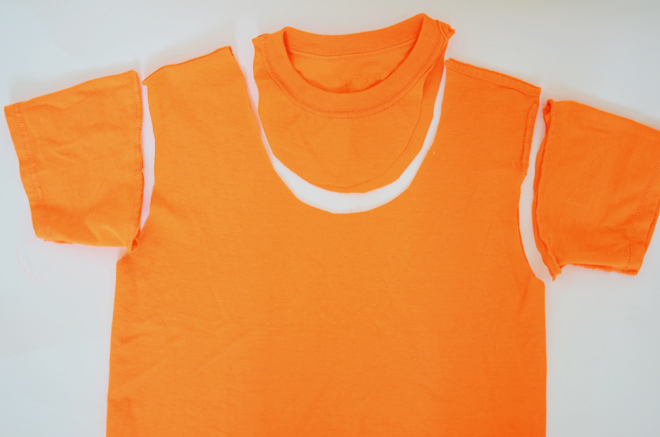 Cut off the sleeves and neck. 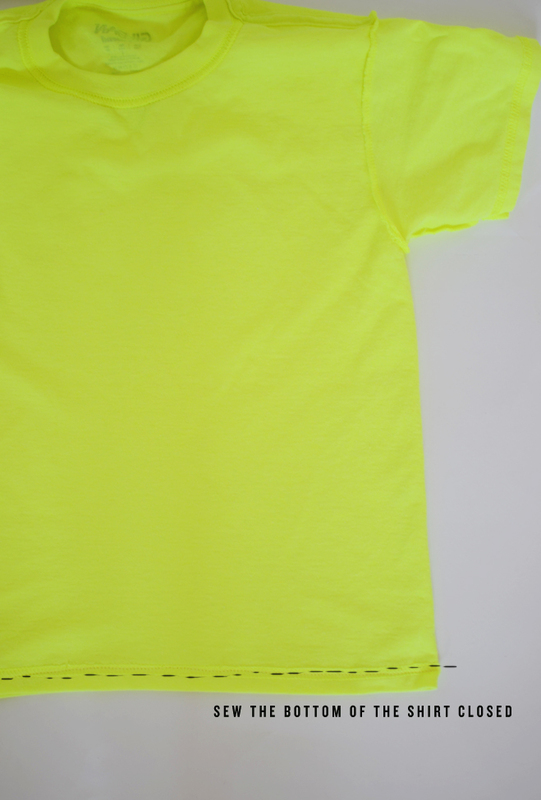 We cut a square neck off one shirt and a rounded neck off another. I liked the rounded neck better. 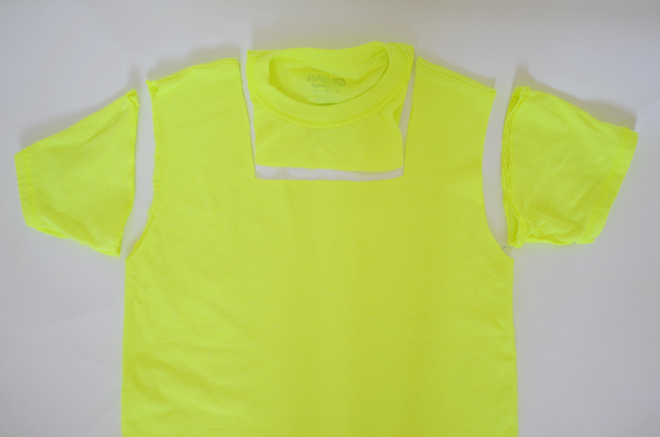 Reinforce the top of the shirt by sewing along the shoulder seam. Otherwise, since you cut the sleeves, the seam will be weak and the threads will come undone when you use your bag. 3. 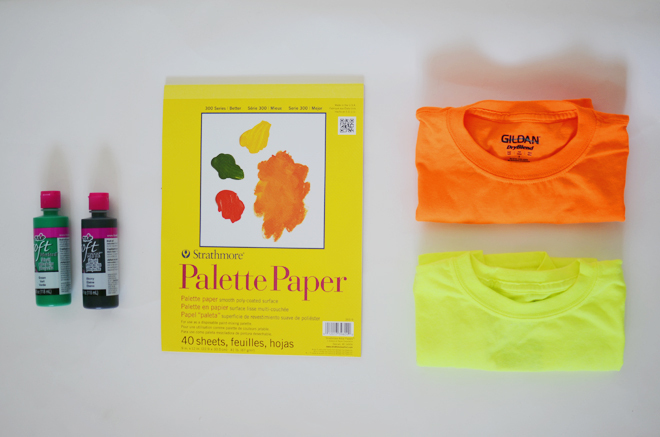 Turn the shirt right side out, insert palette paper between the shirt’s layers, and paint your design on. Allow one side to dry completely before flipping over to paint the other side. 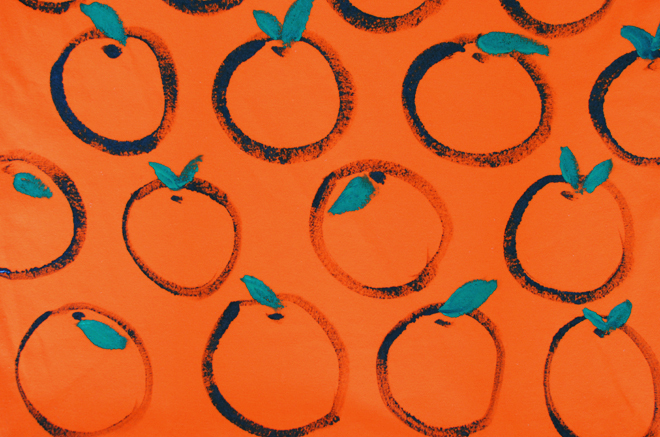 We chose to paint oranges and lemons because the shirts’ bright colors just called for something fruity. The girls loved making it and they’re excited to start using it. 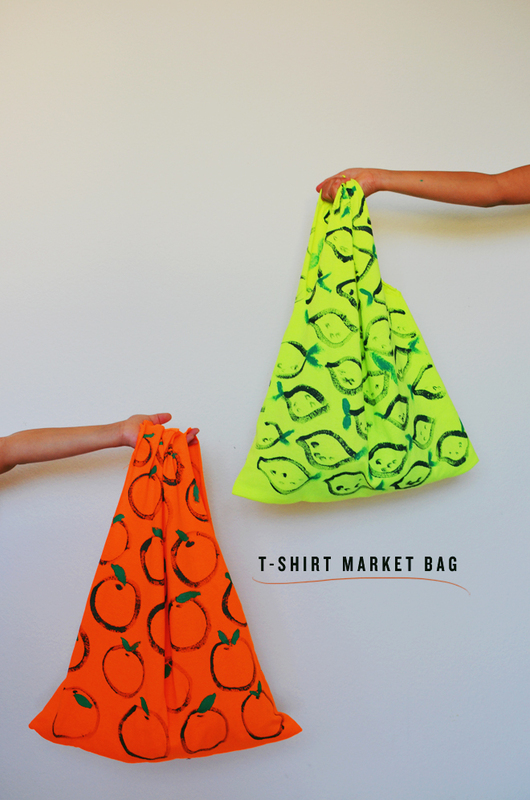 It’s such an easy bag to make; use a new shirt or an old shirt, paint something on it or not, but who knew a simple t-shirt could be a cool market bag?! I’m excited to be one of the Michael’s Makers Bloggers, since it’s my go-to place for craft supplies. Thankfully, they have a shop five minutes away from me, but if they aren’t that close to you, Michael’s now has online shopping available! They have projects on their new site, along with a supplies list and directions; you can even one click purchase all the items you might need for those specific projects. 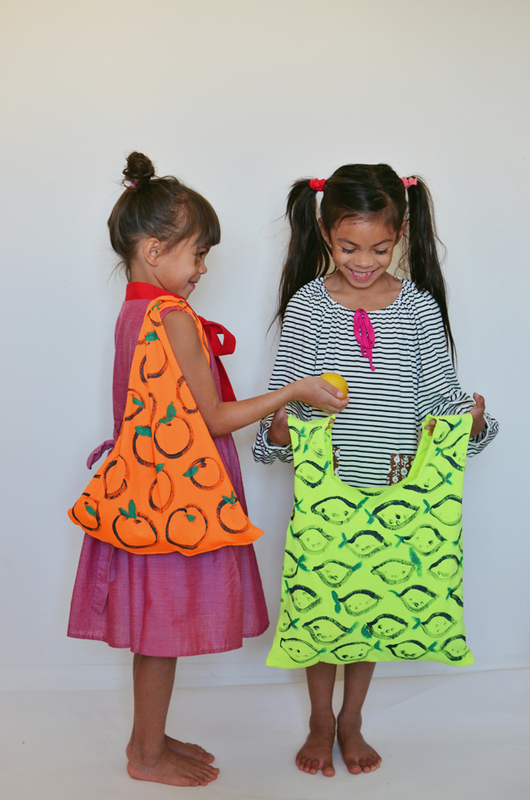 This market bag project is taken from their site (see it here) and the girls and I had a lot of fun working on it together. 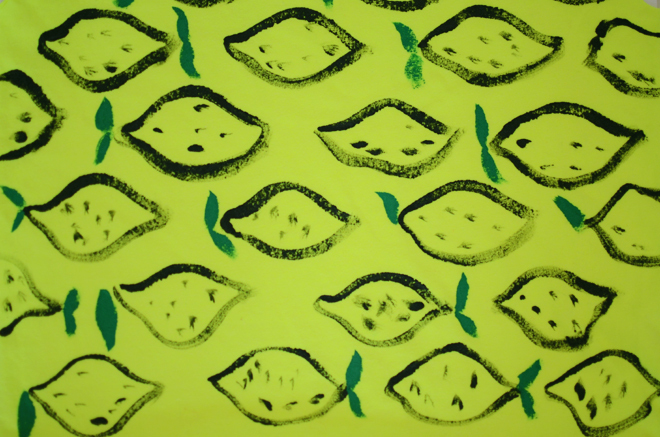 This is the first of the Michael’s Makers challenge, and I’ll have another one to share with you next month! 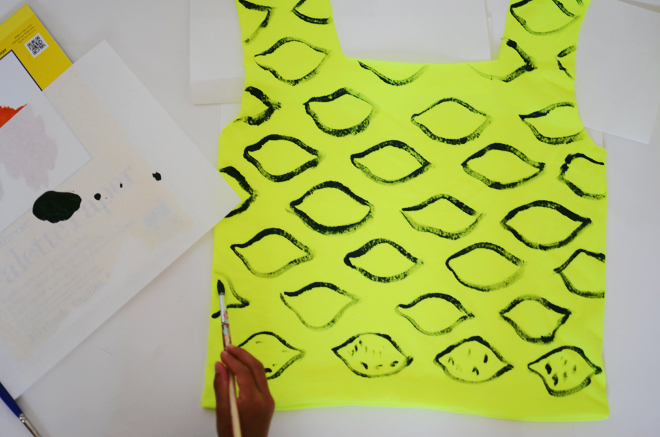 on brave: dress, misha lulu. on true: dress, buckleberry kids. Ok this is the CUTEST idea!! 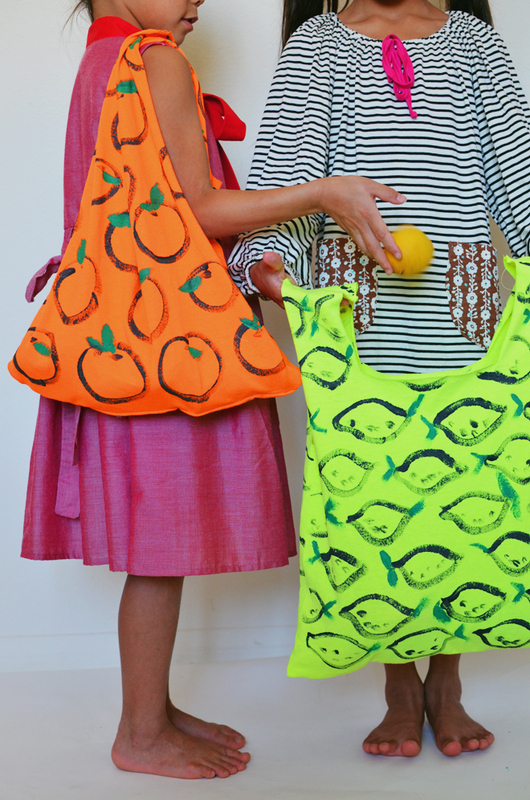 So fun and makes the cutest farmers market bags!! 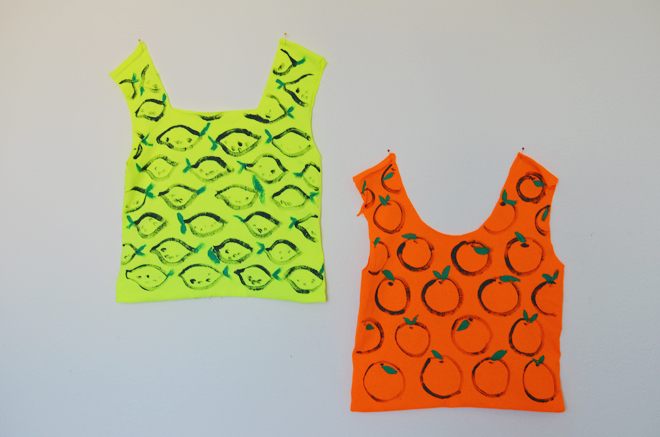 Or you could just keep them as a really fun summer tank! Thanks for the idea 🙂 Love your blog!! Totally agree it would make a cute tank! Fantastic idea! Great project for the kids too, thanks for sharing!